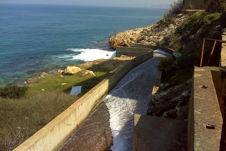 Exploitation of available hydropower potentials in existing infrastructure in Lebanon, including mainly thermal power plants, drinking water systems, irrigation systems and waste water treatment plants. Results: Information on the available energy potential in existing infrastructure in Lebanon is available. The technical and economical feasibility for implementation options are summarised in a comprehensive technical report as sound basis for decision making and to improve the regulatory framework.